See our range below. 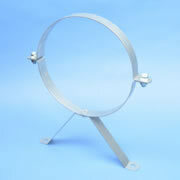 Galvanised split rings with hole and wall bracket. manufactured to British Standards in mild steel. To purchase our products, please call direct on 01628 810119.